HAPPY 40th ANNIVERSARY STAR WARS FANS!!! Limited edition 20 of each. Individually numbered. A5 in size. £4 each or £7 for a pair with a free vinyl sticker of the vader design. All £30 each posted in the U.K.
Any loose jumbos for sale here ? You after any specific LEGO stuff? I have a lot unboxed but complete I'd be interested in trading. Hey rob, not really, as long as its ot or rebels I think I'd be happy! Last edited by Snaketibe on Sun Jun 18, 2017 6:57 pm, edited 2 times in total. A few moderm MOC for sale. Looking for £8 each plus postage. 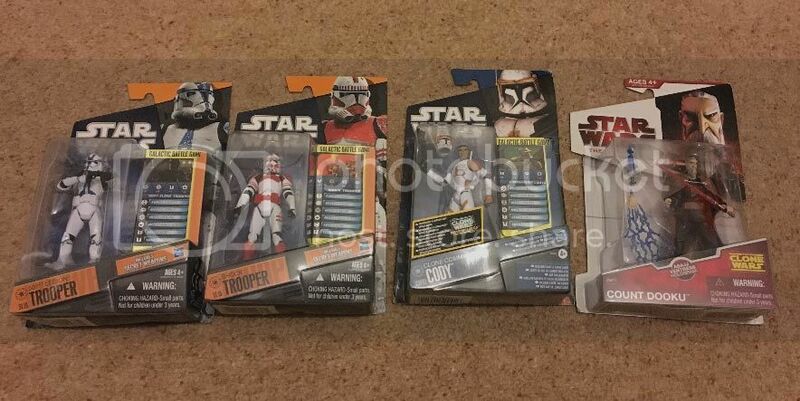 Also would consider trades for Clone Wars (animated series) figures. Both Obi-Wan Kenobi figures now sold.